Have u seen Twilight ? 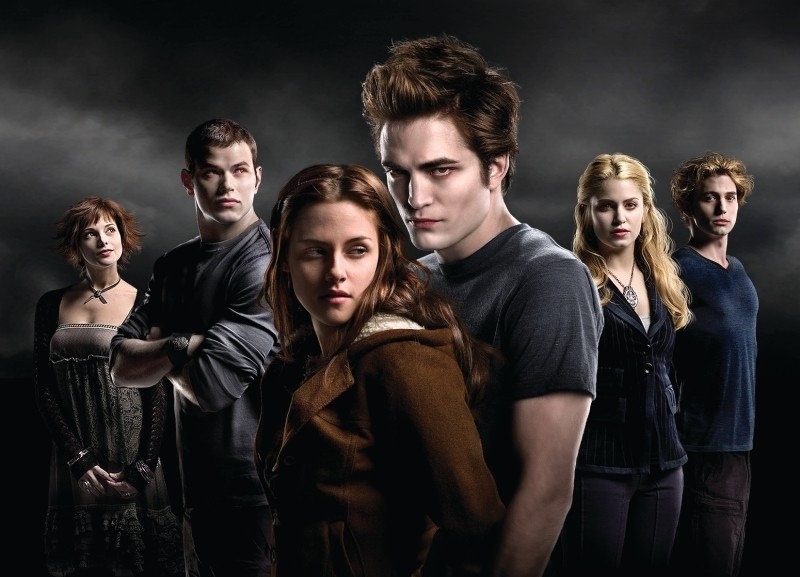 Twilight tells a forbidden love between a human girl named Bella with a vampire named Edward Cullen. Cullen family, includes Edward in it, of course, drank animal’s blood, not like others who drank human’s. Edward has special power, which can read mind, almost everyone but Bella, i think that’s why he interested to Bella. Bella whose at first doesn’t know who Edward was was interested in him. She finds out the truth that Edward was a vampire and still loves Edward, even she knew that she could probably the victim among the Cullen vampire family. Edward, a vampire and Bella, a human, both love each other. There’s a scene that Edward said “So the lion loves the lamb, huh?” to Bella, which means a vampire who can kill human anytime, love human. There’s a lot of troubles here. Edward and Bella has to fix it. The film tells us that love can beat all. I'm just ordinary people who lived in an extra-ordinary world.